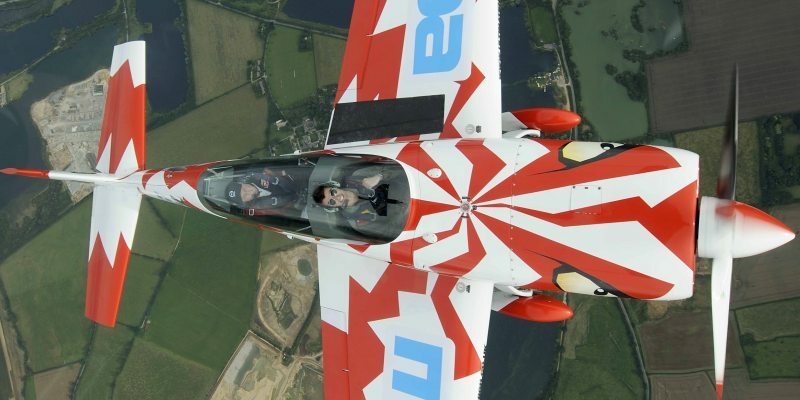 You won't need a wingman during this insane Top Gun flying experience. Flying with an instructor, you take control of a 'T67 Fire' monoplane to perform some aerobatic tricks - an unforgettable flight! This is your chance to fly like a fighter pilot! Anyone who has watched Top Gun, or marvelled at the glorious Red Arrows as they soar through the skies, has quite possibly fantasised about being the pilot in the cockpit. Aerobatic flying is amazing to watch, and even more amazing to perform! 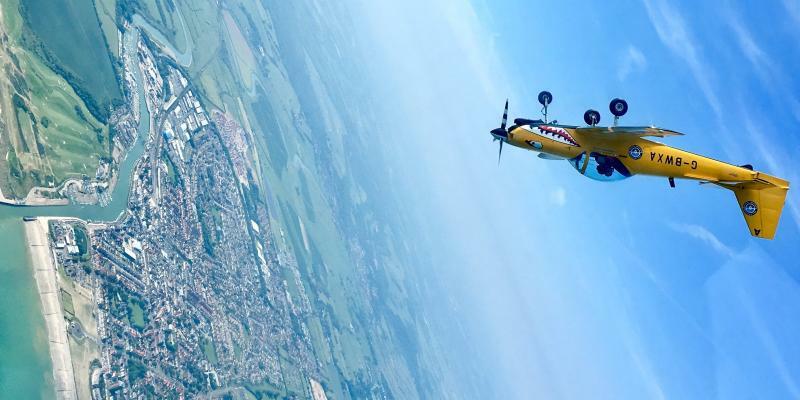 With this superb aerobatic experience, valid for a weekend booking, you can don a flying suit just like Maverick's and fly a T67 Firefly plane yourself! The T67 Firefly is a low-wing monoplane that has been used by 10 different Air forces, and in some cases was equipped with rockets and 7.62mm machine guns! 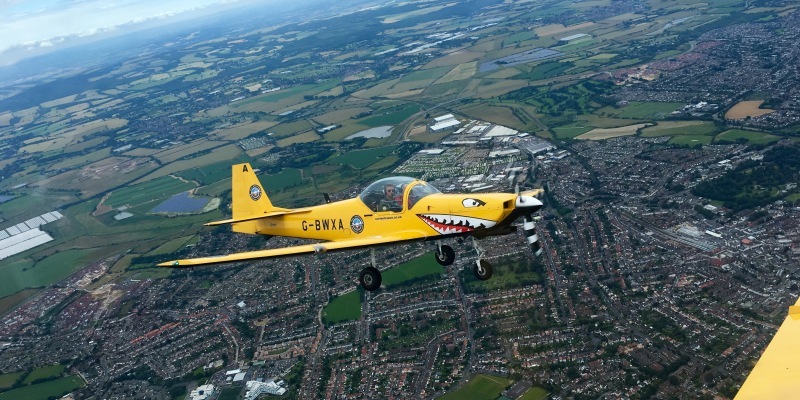 But don't worry, the aircraft you will be flying in is purely used for aerobatic flying and airborne fun - no guns! 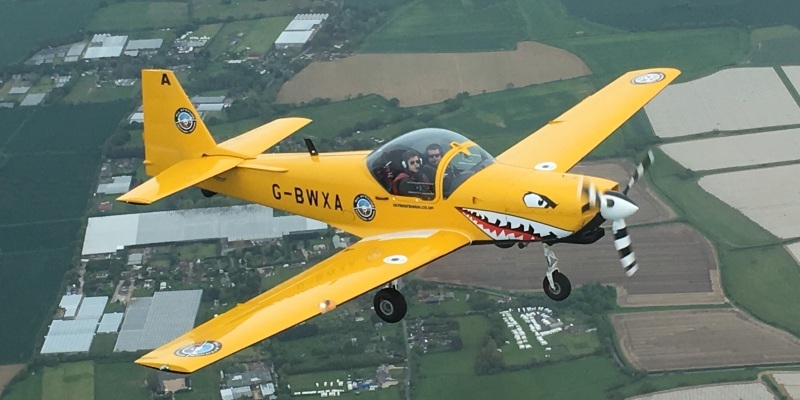 You will be taught by ex-military instructors, who will demonstrate a formation take-off as well as some close-formation flying, before teaching you how to fly aerobatics yourself. 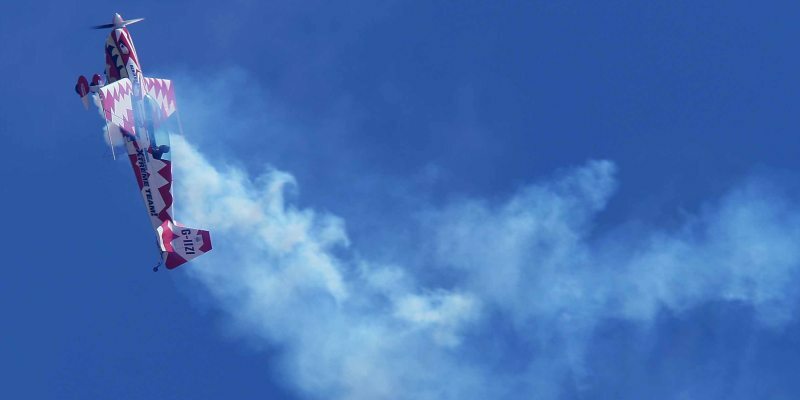 Perform some aerobatics yourself, before trying out a spot of tail-chasing - serious Top Gun action.On arrival you will be provided with refreshments before kitting out into your flying suit. You choose your call-sign name badge ("Maverick", "Iceman" etc) for the day before attending a full pre flight briefing which includes all safety/parachute procedures, and how to fly aerobatics and air combat (yourself!). It is now time for your flight! This will include a formation take-off (2 aircraft), formation close maneuvering in the climb, demonstration and practice of effects of controls and aerobatics maneuvers, 'Hands on stick' time - opportunity for you to fly some aerobatics yourself, demo & practice tail-chase with other airplane - 'shoot the bandit' & smoke! Finally your instructor will talk you through return to base. Your experience will finish with a full de-brief and the presentation of a certificate to keep as a memento of your day. You can purchase a video of the day for £49. The Top Gun Experience will last for 3-4 hours in total with around 40 minutes flying time. Participants: The Weekend Top Gun Flight Experience - Goodwood is for 1 participant. You are only allowed to fly with your ex-militant expert instructor on this Top Gun Flight. However, you can also bring a spectator along who will be looked after during the course of the day. It's a good idea to get them to drive because you may well feel knackered after this High G, High Adrenaline experience! You will be provided with your flying suit and helmet. Please wear FLAT shoes with decent grip (eg: trainers) and no skirts (girls or boys!). The Top Gun experience is weather dependent, it is absolutely necessary that you call the centre before you set off for the day. I was really happy with the overall experience. 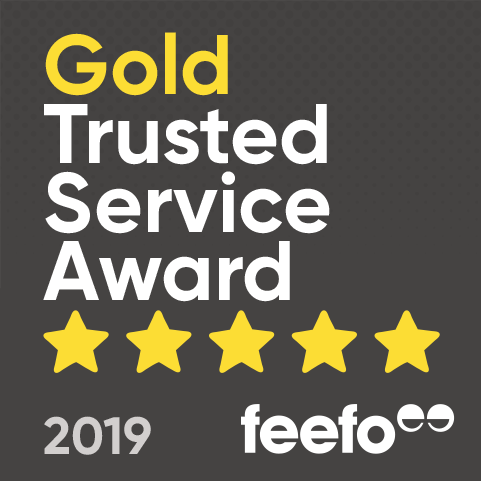 I booked this as a surprise for my husband and he was really pleased and had a brilliant experience. However I am a little disappointed that the cost of Â£49 that I paid you for the DVD had not been past to them and I'm now awaiting the DVD of this experience. I have left it with them to contact you and I've already emailed you about it too which I'm awaiting a reply. Amazing experience, worth every penny. Easy to organise and top quality centre.